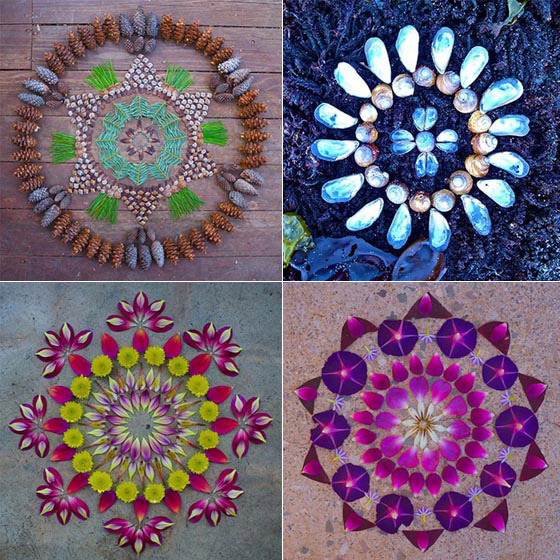 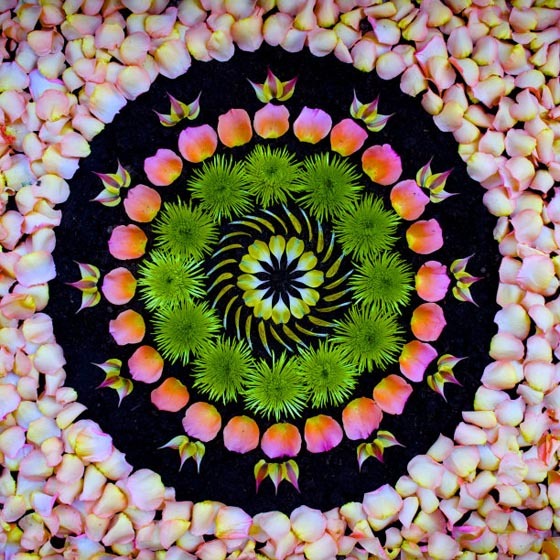 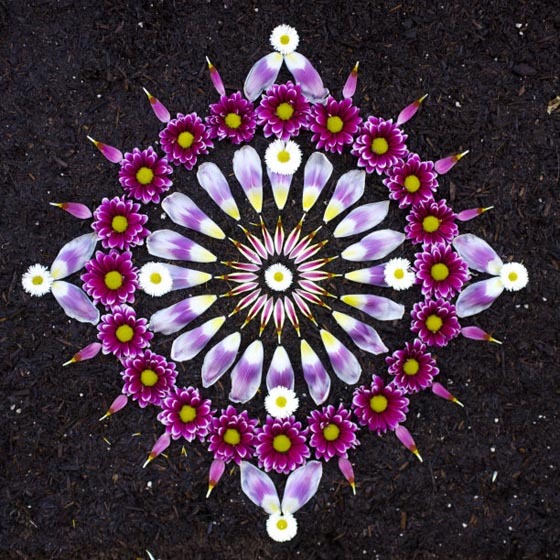 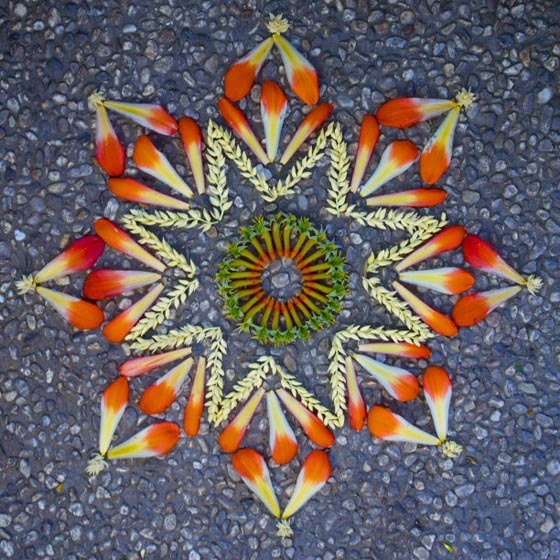 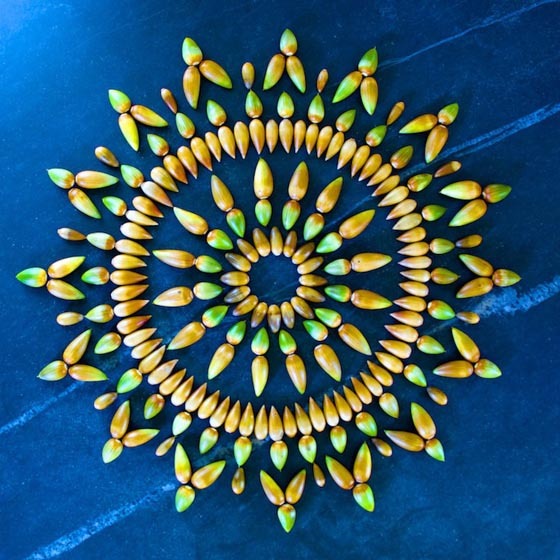 Using the flower petals and other natural materials such as shells, seeds, pine cones, rocks and vegetation, Arizona-based artist Kathy Klein creates eye-catching mandalas in outdoor locations near her home. 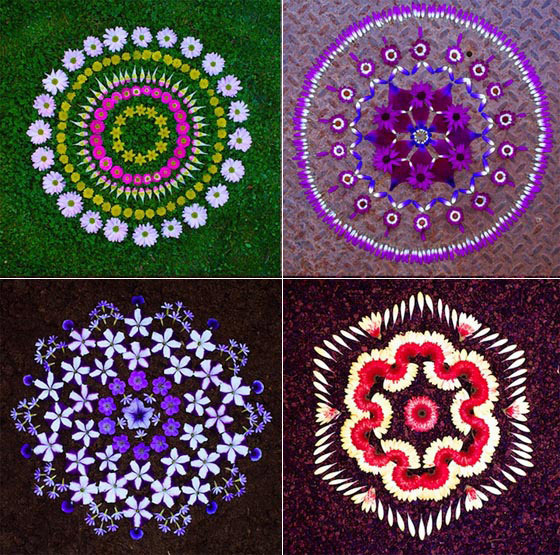 Klein called the pieces Danmalas – a portmanteau of the Vedic Sanskrit words mean “the giver” and “garland of flowers.” Each piece boasts a brilliant sense of geometric symmetry and energetic life which is both awakening and relaxing. 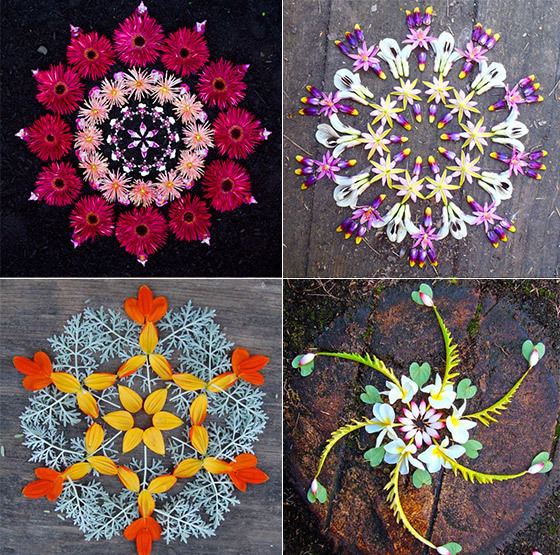 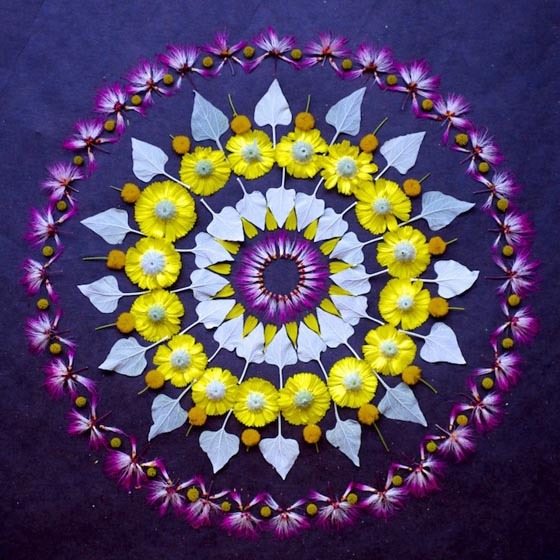 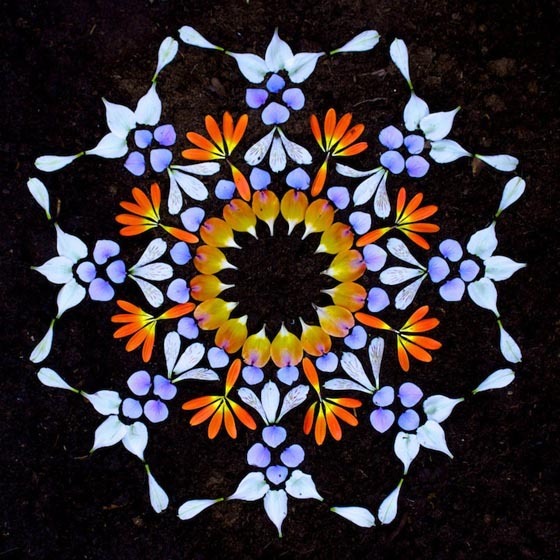 You can find more of those beautiful flower mandalas on her site. 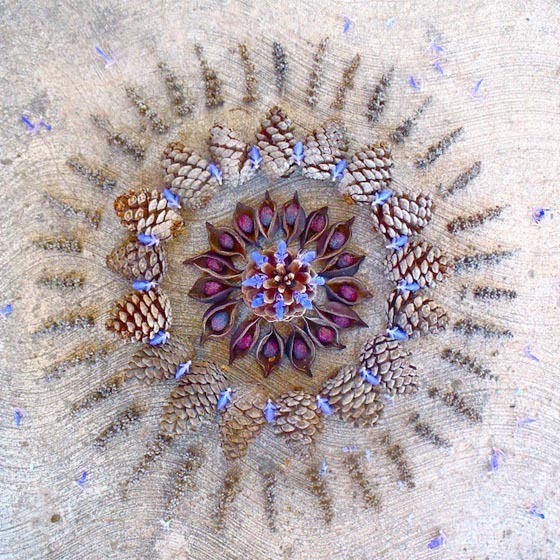 And if you want to have those healing piece at home, you can buy prints on her site as well.